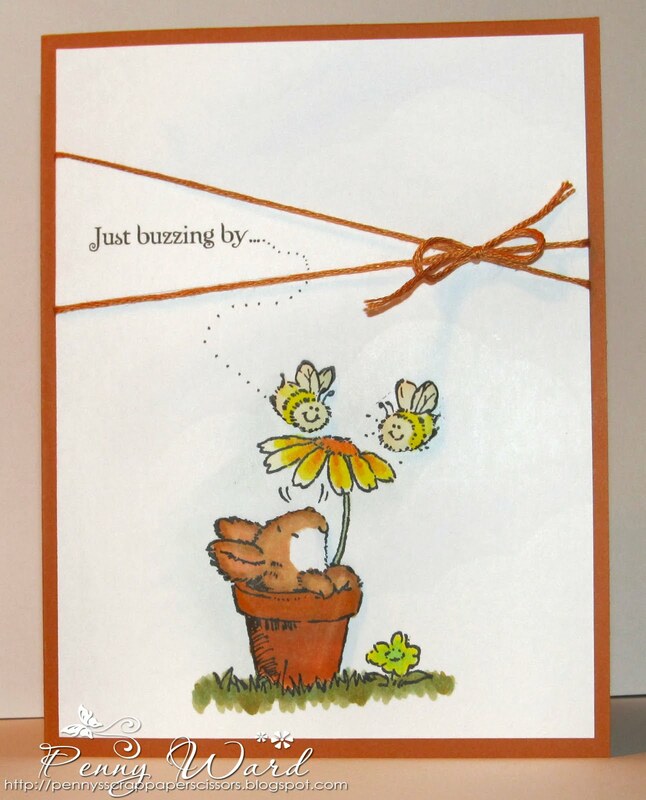 On white cardstock I stamped Penny Black Bees & Bunny with Momento Tuxedo Black & colored with Copics. Stamped a second time so I could color and fussy cut the bunny and bees, added them with dimensional adhesive. Sponged clouds with my handy dandy cloud template I made (because I cannot draw) & light blue chalk ink. Sentiment is from computer, added DMC floss, then attached all this to the Terra Cotta cardstock base. 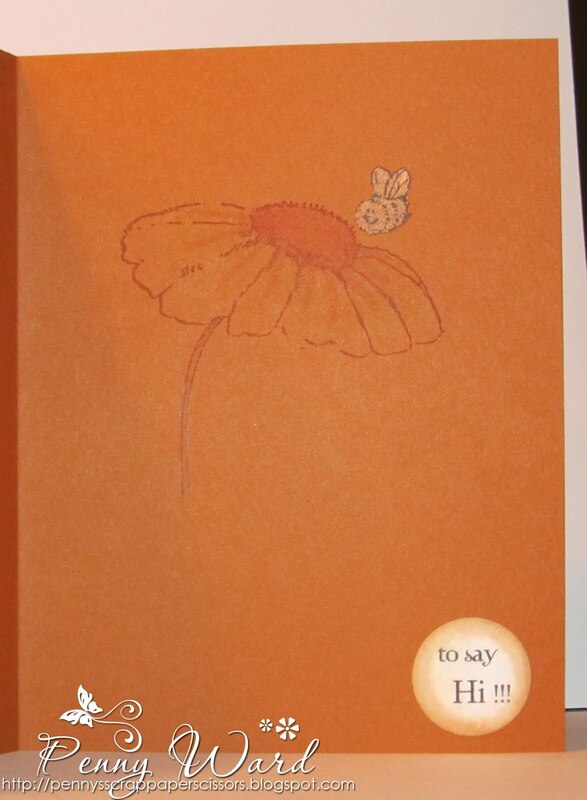 INSIDE is from the Penny Black Squeeze til I Squeek stamp in Terra Cotta ink. Added a circle sentiment from computer, dusted with Tim Holtz ink, and one fussy cut bee.